* Here, Richardson writes on Victor Navasky–editor emeritus of The Nation–and his intellectual connections to Ramparts, McWilliams, and Christopher Buckley. * Here, Richardson traces an intellectual history through The Nation and Truthdig, following Bill Boyarsky, Jesse Unruh, Carey McWilliams, Marc Cooper, and Robert Scheer. * Here is Richardson’s review of Marc Sandalow’s Madam Speaker: Nancy Pelosi’s Life, Times, and Rise to Power. * Here is Richardson’s review of Bill Boyarsky’s Big Daddy: Jesse Unruh and the Art of Power Politics. * Richardson reviewed the LA Times Festival of Books through a characteristic California studies lens. * He also had an insiders look at some notable attendees of the CSA conference this year. * Finally, Richardson reviewed the March Wallace Stegner conference, a gathering of A-list Californian men and women of letters near Point Reyes (Articles one two three four). Listen to audio recordings of the panels and speakers here. Richardson also reviewed Philip Fradkin’s biography of Stegner in the LA Times here. On behalf of our partnering organizations, we would like to invite you to the Great Cities Speakers Series. Beginning June 5, and continuing through December, the Series will consist of monthly public lectures designed to provoke thought, discussion and imagination about the city of the future and to bring important outside perspectives to local and regional efforts on civic planning, culture, art and design. Free tickets for each event may be requested at www.commonwealthclub.org or by email to info@1stACT.org. The series will begin in conjunction with 01SJ: A Global Festival of Art on the Edge, on Thursday, June 5, 6-7 pm, with Stewart Brand, co-chairman and co-founder of The Long Now Foundation. On Sunday, June 8, 4-5 pm, William Morrish, professor of architecture and environmental planning at the University of Virginia will be featured. You can view full details of the speakers and their lecture topics at our web site www.1stACT.org. To receive notice of upcoming events please email info@1stACT.org. “Moguls, Millionaires & Movie Stars: Hollywood Between the Wars, 1920-1940” will be at the Huntington Library in San Marino on Friday and Saturday. Panels will explore the rise of the studios and the importance of moguls such Joseph P. Kennedy, Howard Hughes and W. R. Hearst, with William Randolph Hearst III delivering Saturday morning’s welcome remarks. The Academy of Motion Picture Arts and Sciences and the Huntington-USC Institute on California and the West are putting on the conference. Participants include author and LA Observed contributor Cari Beauchamp as well as Neal Gabler, Richard Schickel, Sid Ganis, Kevin Starr, Taylor Coffman, Dennis McDougal, Robert Gottleib, Tim Rutten and Patt Morrison, among others. See a slide show of the exhibit from KQED’s “California Report” here. Did you know that “cool” is a West African philosophical concept from the 15th century? I resisted the idea when I first encountered it at the fabulous Cool Remixed exhibition in Oakland last weekend. But a text didactic smacked down my eurocentrism in a few short paragraphs discussing the relationship between the words for “cool” (the temperature) and the concept of ltutu or detachment. The didactic showed a photograph of a statue whose face demonstrates ltutu, looking like a jazz musician at rest, and a list of words for “cool” from west African languages that mean both the temperature and the philosophy. I remembered that before the twentieth century the word “cool” in English denoted a lack of humanitarian virtue rather than a virtuous detachment, and a new view of the nature of American hybridity opened up for me. But the whole exhibition put a different complexion (pun intended) on “cool.” Cool Remixed: Bay Area Urban Art + Culture Now, which opened at the Oakland Museum last weekend, was created as a counterpoint to the traveling show Birth of the Cool: California Art, Design, and Culture At Midcentury, which originated at the Orange County Museum of Art. Cool Remixed offers a direct contrast to the traveling exhibit at almost every point: SoCal vs. NorCal; mid-century commercial design vs. millennial community and street art; private houses and interior furnishings vs. public uses, transportation, and murals; middle-aged aesthetics vs. youth culture; suburban vs. urban; lifestyle vs. flavor; minimalist vs. profuse; elite vs. diverse. And this exciting and vibrant exhibition delivers not merely contrast, but context. A visually arresting decade-by-decade timeline of “cool,” and a loop of videos by Youth Radio remind us that urban communities of color are the vectors of fashion, and that fashions always start with youth and then age radially outward. Without ever directly addressing race, Cool Remixed finds elements of urban youth culture that originated in different ethnic communities (e.g. : skateboarding and b-boying) and pulls them into the mix. The result is neither muddy melting pot nor multicultural salad, but a hybridity as textured as a graffiti mural. The main gallery is an experimental space for work by young artists using “urban” objects — such as hubcaps, skateboards, car hoods, etc. Although many of the pieces veer into macaroni-crafts territory, explosions of energy, smarts, and sharp aesthetics are sprinkled throughout. One of my favorite pieces in the show was a simple square of wood with a pair of metallic-painted sneakers nailed over a spray-painting of five-pointed stars. The subtle modulation of the spray paint and the arrangement of the stars displayed an aesthetic that was simultaneously do-it-yourself, meditative, and commercially viable. Not surprisingly, the strongest work was the outfits, displayed on dressmaker’s dummies, made of clothing and objects. These were conceptual pieces, but they could also easily be worn, clearly suggesting that the makers were already conversant with the idea of pushing fashion forward by recontextualizing the things closest to their bodies: safety pins, tuning pegs, paper and plastic sheeting. The young artists’ selves — as happens with all artists — come through most clearly when they are focusing on their projects and materials rather than on their self-presentation (as in a weak lounge/installation of action photos by the organization EBAYC). Curatorial grace notes bracket the exhibition. A large magnetic poetry set featuring Oakland slang words against a corrugated tin wall welcomes the viewer. The show closes with a wonderful installation breaking down the fragmentation of time and space using bodies and beat sampling. A video of popular Oakland TURF dancers on a street corner is rewound, cut, and looped to create a mobius strip of time and physical performance. Underlining and surrounding the flat monitor are fragmented and collaged photographs of the performers disposed along the street, watching themselves dance. This last image of immensely talented youth shining their lights on street corners — and watching themselves do it — is the best metaphor for Cool Remixed. Never think that they don’t know exactly what they’re doing. Never pretend that the cool is appropriated from a blind source. Never imagine that any corner of our shared culture, be it ever so tribal or athletic or exotic, is anything but the highest of art, sometimes made by the lowest of artists. Cool Remixed runs at the Oakland Museum through August 17, 2008. 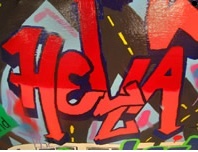 The museum presents a youth arts festival related to the show on Saturday, May 31 from noon to 9 pm. Curators Evelyn Orantes and Christine Lashaw offer tours at First Fridays After Five on Friday, August 1, from 5 to 9 pm. 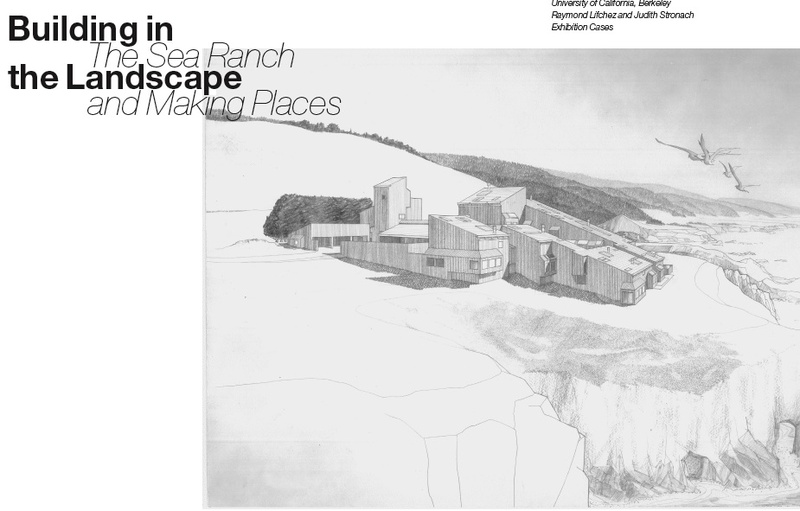 Exploring the concept of making places, this exhibit focuses on the innovative Sonoma County community, The Sea Ranch, and on Architecture Professor Emeritus Donlyn Lyndon’s work in other areas. Lyndon’s works explore the idea that, “environment is that piece of reality which gets through to us,” and the things that enter, “our selected environment should help us to ‘place’ ourselves specifically in a broad context.” Nowhere is this more evident than in the work that he did with MLTW at the Sea Ranch, and which he continues to do there and in other locations. The exhibit includes highlights from the Environmental Design Archives and Environmental Design Library collections, such as original sketches, photographs, ephemera and books. This exhibition explores the lives of students at the University of California, as told through the clothing they once wore. From junior plugs (top hats) and lettermen’s jackets to charm bracelets and African American graduation stoles, from cashmere sweater sets to denim jackets festooned with anti-war buttons, Cal students have always made fashion, political and gender statements through their choice of clothing and accessories. The exhibition draws from the University Archives and from numerous other campus collections, and includes many items never before on display. Curated by William Benemann, Archivist. Attendance restrictions: Open all hours the Doe Library is open. How can a city be both democratic and beautiful? 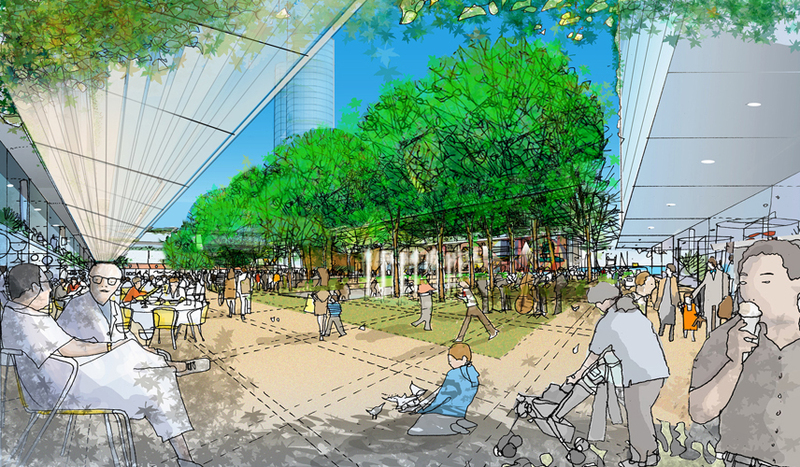 Is an inclusive planning process inherently at odds with excellent urban design and architecture? Or is it possible for public process to support great architecture and great urbanism? Most importantly, how is this tension playing out in Los Angeles and San Francisco, two of the great West Coast cities? The Westside Urban Forum <http://www.westsideurbanforum.com/&gt;, the San Francisco Planning and Urban Research Association <http://www.spur.org/&gt;, and the American Institute of Architects <http://www.aialosangeles.org&gt; in welcoming Los Angeles Times Architecture Critic Christopher Hawthorne, San Francisco Chronicle Architecture and Urban Design Columnist John King, and moderator David Abel, publisher of The Planning Report for a frank and fascinating exploration of this topic. This event is the second installment of the SF-LA “Open Dialogue” series, bringing together leaders from both cities to learn from one another’s experience and raise the level of discourse on key issues affecting California’s urban future. It has been made possible through the generous support of the David Bohnett Foundation, Wilson Meany Sullivan, HOK and Allen Matkins. Categories: Uncategorized | Tags: Add new tag, architecture, democracy, design | Permalink.